Is your mind clouded with doubts? Do you have questions left unanswered? Our Primitive Baptist church believes that we only need to seek God’s grace for us to attain the peace and contentment we are looking for in life. Attend the worship services of St. Stephen Primitive Baptist Church in Decatur, AL and allow us to help you further understand His words and promises. The late Elder George Franklin, who came from Elkton, Tennessee, organized the Saint Stephen Primitive Baptist Church in 1875. 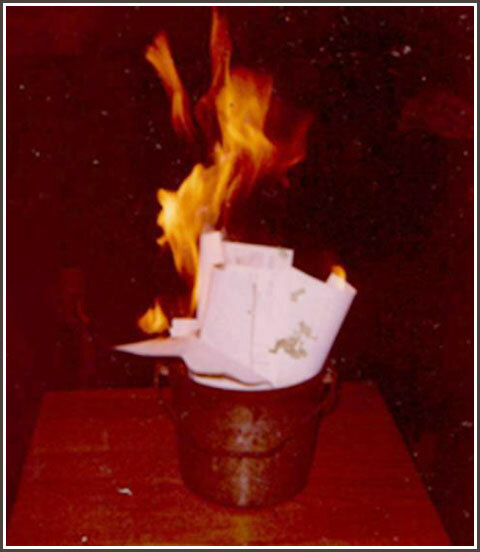 During the five years of his pastorship, the church burned. In 1880, Elder Wesley Batts became pastor and served until his death in September 1937. During his pastorship, five preachers were licensed and ordained. They were Elder Douglas Batts (his son), Elder Green Townsend, Elder Henry Tranow, Elder Ernie Rice, and Elder T. M. Batts (grandson and youngest minister in the Indian Creek Primitive Baptist Association at that time). Deacon Al Payne served as Sunday School Superintendent for many years and Sister Lula Bell White as the clerk. Elder Terry M. Batts became pastor after Elder Wesley Batts death in 1937, and served for eight years until 1945. During his pastorship, Elder Batts held revivals to win more souls for Christ. He also ordained deacons, consecrated mothers, and taught many to follow Christ. The consecrated mothers were Ida Grisby, Chairperson, Mary McLin, and Mary Alice Wiggins. Sister Amy Strong and Sister Cora McDonald purchased the first piano. 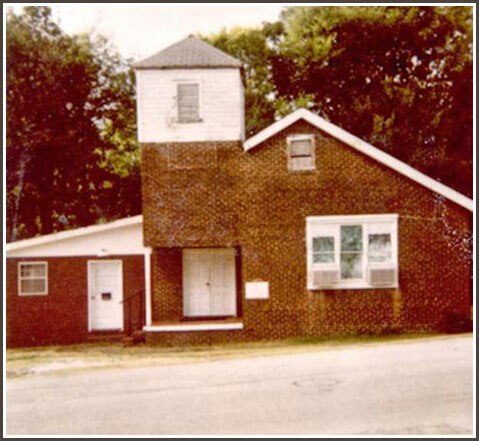 In 1945, Elder Batts resigned and accepted pastorship in Mobile, Alabama at El Bethel Primitive Baptist Church. Elder C. J. Boone of Chattanooga, Tennessee was elected pastor and served until 1947. After Elder Boone's pastorship, Elder P. D. McLin was elected and served until his death in 1951. During Elder McLin's pastorship, young members were added to the church roll and the first Junior Choir was organized. In 1952, Elder E. S. Bullard was elected as pastor. He made many improvements in and around the church such as bricking the outer frame. This endeavor was accomplished with only one deacon, Deacon Monroe Street, along with the women of the Church. The women mixed cement, laid bricks, and pushed wheelbarrows to complete the project. They really had a mind to work. A pool was installed for baptizing, a choir room, kitchen, and a new heating and cooling system were installed. Elder Bullard left in 1954 to go to Florida, but his love and labor will never be forgotten. Elder W. M. Mastin was elected pastor and served until 1968, when his health failed and was unable to pastor. During his 16-year tenure, we were blessed with many new members. Elder Willie Brown was the Associate Elder. Deacons ordained were Adolph Coleman, Leroy Balentine, James Harris, Will White, Sr., Burl Sanders, Jessie Rice, and Abe Simmons. Mothers consecrated were Hannah Lorrick, Ollie Wiggins, Eunice Balentine, Omelia Rucker, Edna Harris, and Catherine Vaughn. After seeing a need for the church to function in a more orderly manner, Elder Mastin organized various departments and the interior structure of the church was improved. The Usher Board was formally organized with Sister Ellease Miller as president and has been in existence for over 40 years. Sister Julia Margaret Flowers and Sister Melissa Sanders served as ushers for many years. Much was accomplished under this God-sent man. In August 1969, Elder Eugene Lewis was elected pastor and served until his death in February 2014. Pastor Lewis was a God-fearing and humble man who served as our pastor for over 44 years. Under his leadership, many accomplishments were made in all areas. The Lord blessed us with four licensed and ordained ministers: Elder Will White, Jr., Elder Sam Rice, Elder George W. Allen, Jr., and Elder Joe Cater. Two ordained ministers: Elder Donald Hinton and Elder Hosea Garrett; two licensed ministers: Brother Raphael Gray and Brother Karockas Watkins; and three liberated ministers: Brother Thomas McCullough, Brother Michael McCorvey, and Brother Reginald Jones. St. Stephen continued to grow and there was a need to ordain additional deacons. They were Alfred Balentine, Levert Caudle, George Miller, Sam Rice, Willie Sears, and Will Shackelford. Consecrated mothers under his leadership early on were Willie B. Coleman, Libby Elliott, Earline Fletcher, Ester Wells, and Lucille Rice. Choir #3 was organized and the musician was Brenda Clay. Pastor Lewis had a vision for the church to relocate. Through prayer and faith, this dream became a reality on the 3rd Sunday of January 1985. We marched on a cold winter day with great jubilation to our present location, 210 7th Avenue, SW, Decatur, Alabama. Deacon Sam Rice was instrumental in executing much of the research and legwork in this great endeavor. The Lord continued to shower his blessings by adding to the church. Efforts were made to enhance church auxiliaries. In August 1993, a kitchen was added and a kitchen committee was organized. The Lord continued to add to our increase. In 1994, 15 souls were added to the church. Five mothers, Mothers Pat Cater, Emma Caudle, Georgia Ellison-Maxwell, Patricia Miller, and Hattie Troy were consecrated. In 1994, additional improvements were made to the church. For example, the carpet was replaced and a wheel chair ramp was constructed. Our first candidate for baptism in the newly installed baptismal pool was Brother Jonathan Jones. In 1995, our largest project was purchasing new furnishings for the fellowship hall. In 1997, Mother Elizabeth Miller was consecrated and the pews were covered. Usher Board #2 was organized and Sister Brigitte Miller Orr was the president. Sister Erica Allen was chosen the chairperson of the Youth Department and an Intermediate Choir was formally organized. In 1998, the Lord provided Pastor Lewis with a vision to train and equip lay people in the Lord's ministry. A Christian Education Committee was founded and Sister Eulylia Balentine was elected president. The Brotherhood (a group of Christian men will to work) was organized and Brother Tyrone Orr was elected president. The Pastor's Aide Club was established and Sister Sam Etta Garret was elected chairperson. In addition, Sister Annie Ruth Harris passed the torch as the church clerk after 38 years of dedicated service and Sister Peggy Allen assumed the responsibilities in 2002. A van was purchased in 2000 to bring the youth and the elderly to church activities. On September 24, 2000, we were blessed to pay off our mortgage and lay the Church Cornerstone. We give God all the praises and honor for all that has been accomplished. 2001 brought many trials, but with the help of the Lord, air conditioning units were replaced and vinyl siding was put on the church. On the last Sunday in the year, two souls were baptized, Brother Ashton Woodall and J. P. Ellison. In 2002, the Youth Department was re-organized by Sister Sandra Lockett, Sister Ellease Miller, and Sister Ruth Ann Burt. A Youth Choir was established and a Youth Usher Board was organized. In June 2002, Brother Newt McDonald, "Superman," organized The Cora McDonald and Family Scholarship Fund. This Scholarship Fund was established to assist deserving students who are members of the St. Stephen Primitive Baptist Church with their college tuition and expenses. This fund was also established in recognition of Mother Cora McDonald, who devoted more than 75 years of service to the St. Stephen Primitive Baptist Church, The Indian Creek Primitive Baptist Association, and The National Primitive Baptist Association, and more importantly, her faithful devotion to our Lord and Savior Jesus Christ. In December 2003, the LORD saw fit to call our older member, Mother Cora McDonald, home to rest. She was loving, inspiring, and kind. She loved her church family very much. Whenever she came into the House of the Lord, you would hear her wonderful voice saying, "How are you doing, Baby?" We all will tremendously miss Mother McDonald. We all love you but the Lord loves you best. In 2005, Sister Teresa Lewis was elected as the church clerk. She served faithfully until 2010 when Sister Carol Tower Jackson assumed the responsibilities. 2014 brought many trials. Our beloved Pastor, Elder Eugene Lewis, who served over 44 years, was called home to rest. While we prayerfully and patiently wait for the Lord to send us a pastor who will feed us with knowledge and understanding, Elder Will White, Jr., our Associate Elder, picked up the torch and is holding up the Blood-Stained Banner. 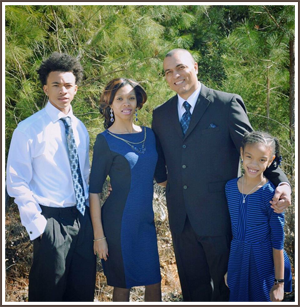 Elder Christopher Collins was elected pastor in November 2015 and serves to this presents day. Our prayer is that the LORD will continue to strengthen the church and to know the love of Christ and the power of His resurrection. The Church history was compiled in 1995 by Sister Peggy Allen, Sister Ellease Miller, and Mother Cora McDonald; in 2004 by Sister Teresa B. Lewis and Brother Newt McDonald; and 2014 by Sister Carol Tower Jackson. The Church moved from McCartney Street to its location in 1989. The Lord shall command the blessings upon thee. Enrich your relationship with the Lord. Our Primitive Baptist church offers worship services, Bible study sessions, and other activities that can help fortify your spiritual foundation. Whether you would like to rekindle your relationship with Him or simply listen to the Word of God, you are always welcome in our church. Visit Our Primitive Baptist Church Today! Our goals are to spread the Gospel and make God’s name known to this troubled world. We aim to touch as many lives as we can through our worship services and Bible study sessions. By doing so, we hope to bring our lost brothers and sisters back in the arms of our Father. Visit our Primitive Baptist church and let us show you how the love of the Lord can make a difference in your life.